Tranquility Base, 2012. 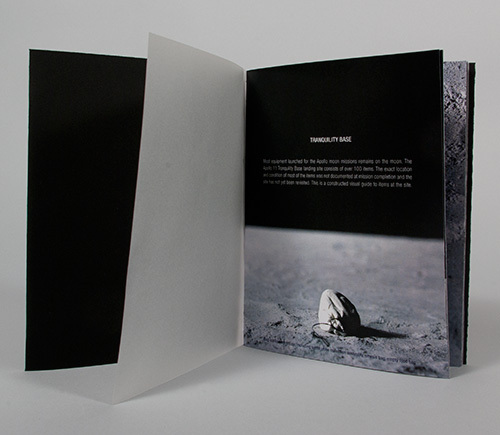 5.5 x 7 x .25 in.Digital offset printed and pamphlet stitched by hand, 16 pages, edition of 50. 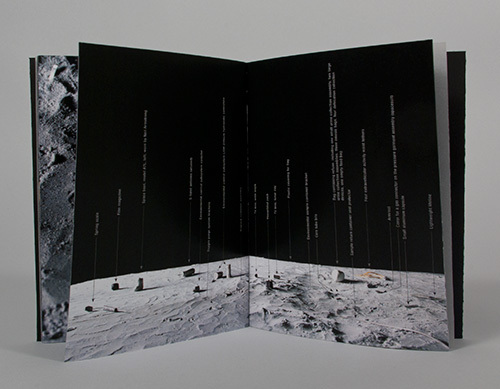 Tranquility Base is a visual catalog of items left at the Apollo 11 landing site on the moon made with photos of miniature handmade models in diorama settings. 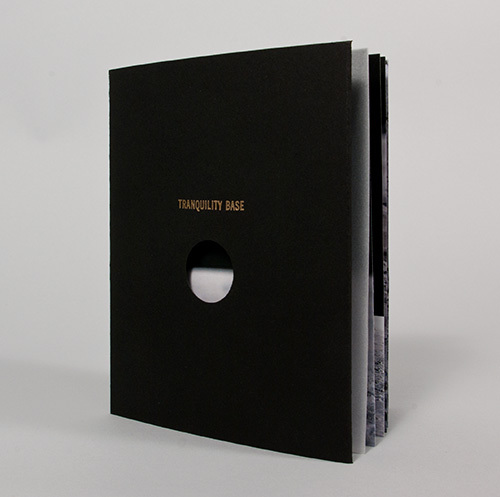 Tranquility Base: $35 includes shipping regular mail within the USA/Canada. For shipping outside the USA/Canada please email for an estimate before purchase [ hn (at) heidineilson (dot) com ].